Solidarity photo training on “Basic Good Governance and Social Accountability” at SILAKA’s training room. 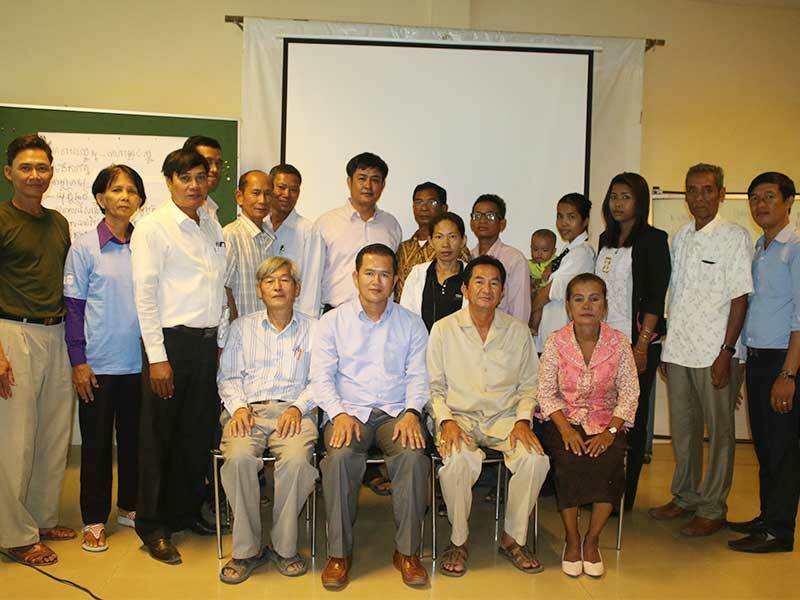 Phnom Penh (April 27, 2016) – Approximately 16 participants – local citizens and officials from Kean Svay district and Takmao city – joined training on “Basic Good Governance and Social Accountability” at SILAKA office, started from 25 to 27 April, 2016. In the opening remark, Mr. Chay Pitou, Social Accountability Project Manager of SILAKA, said this training is one of other activities in project named “Strengthening Procurement System at the Sub-Nation level (SPSL)”, in order to build capacity among members of Joint Procurement Monitoring Committee (JPMC) in Kandal province. After the training finished, participants will gain more understanding on their roles and responsibilities as demand side in democratic development; be able to engage in participatory monitoring the public procurement; and to advocate in public to strengthen the public procurement process in their targeted area effectively. The participation of local citizens to monitor public procurement is important, especially the forming citizen group – Joint Procurement Monitoring Committee (JPMC)– in order to observe and monitor in bidding meetings. Mr. Om Chan, Chief of Kean Svay District, urges to have engagement from local citizens to ensure that bidding is transparent, no collusion and corruption “good good…for bidding if without monitoring from citizens and joining from only companies and authorities that is not good so the quality of construction will be not strong”, he said. Kandal province is the second province in Cambodia which implementing project SPSL. The SPSL project established in 2012 with the first targeted area in Kompong Thom province, which implemented by SILAKA and funded by Center for international Private Enterprise (CIPE). Through the experiences for more than 3 years in Kompong Thom province, the provincial investment and development deputy director shared data showing that competitive contract awards 50 percent cheaper than before the project started due to improved competition and reduced opportunities for collusion and corruption. SPSL project will be providing the second training on Effective Facilitation and Basic Report Writing on June 2016. SILAKA is the leading capacity building organization, mainly focus on capacity development action, supporting good governance and women empowerment for decision-making in public office. SILAKA is also one of the key players on the ASEAN Civil Society Forum within the ASEAN region.